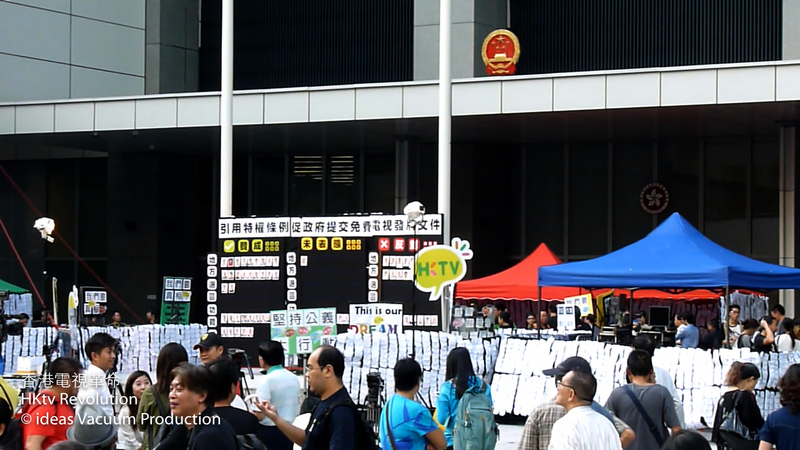 Two years ago in October 2013, I shot the first footage for HKtv Revolution (IMDb) and conducted the first interview without thinking the HKTV issues could drag on for years and some of these materials would one day be used in a feature-length documentary. But the real world is sometimes stranger than fiction. As of the writing of this director’s statement, a High Court judge has “quashed the decision of the Chief Executive in Council in refusing to approve HKTV’s free TV licence application and remit it back to Chief Executive in Council for reconsideration.” (full court judgement in English) But the CY Leung government is appealing HKTV’s judicial review victory and dragging the case out for potentially more years to come. Ignoring the views of the 120,000+ citizens protesting on the street in support of HKTV. And also tarnishing Hong Kong well-known image as a business friendly city. In this topsy turvy world, turning something as simple as people’s desire to watch some new and good TV shows into a full-blown business and political crisis. Finally, I hadn’t imagined a 10-year gap after my debut documentary (“Long Hair Revolution”) in 2005. Life is full of surprise and I am happy to fill this gap by completing two documentaries in 2015. 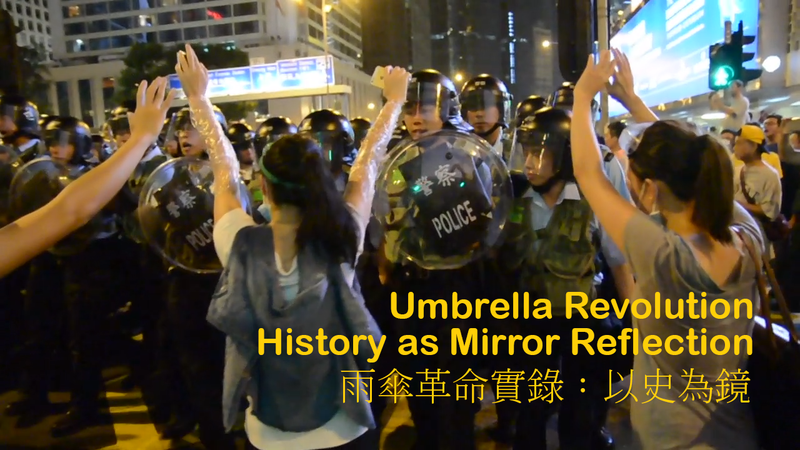 Because of how the events happened, HKtv Revolution is the film that inspired me to make my third documentary (“Umbrella Revolution: History as Mirror Reflection”) back-to-back. How can I say my heartfelt thanks to my films’ awesome crowdfunders (named and anonymous ones) plus the 100+ content creators for Umbrella Revolution? With luck, I hope to say my thanks in person face to face during a film festival movie screening. Until then, I’ve tried my best to make the “credit roll” and “thank you” interesting and nice to watch. And honestly the credit section is one of the segment that move me very much as it reminds me the vast number of people that make this film possible. And indirectly remind me that Umbrella Revolution happened because of tens of thousands of HongKongers. Here is a trivia you may not realize. The full 122 minutes film took the computer about 8 hours to compile. To break things down, it took 7 hours to process the first ~118 minutes of the film, and then one full hour to process the last ~4 minutes! Have a watch of the credit roll. I hope you enjoy the song & animation as much as I do and can feel my heartfelt thanks. Making good movie trailers is hard and it is definitely a skill that I wish I have. Anyway, I’ve tried my best by creating multiple drafts and kept tweaking the two trailers for days until I created these two trailers. Have a watch to get a sense of the two documentaries that I made back-to-back in 2015. Enjoy. Yes, I can’t believe I just finished our second feature-length documentary. Two feature-length documentaries made back-to-back. And the second film is not a just short documentary as I wrote three months ago in case you haven’t been keeping up-to-date with the films via the official Facebook page. In fact, at 121 minutes long, the second “bonus” documentary is longer than the first one. When I started writing this update last night, the computer was working overtime on our second feature-length documentary “Umbrella Revolution”. At one point the movie encoding software was running at 677.8% CPU load! Apparently things can push above 100% on a machine with multiple CPUs (cores) by an app with multiple execution threads! Our currently 121 minutes long documentary ended up taking 4 hours 32 minutes to finish encoding. You know the crazy thing is that about 4 minutes (out of 121 minutes) of graphics intensive footage in the film involving four high-resolution gigantic graphics (1 big map graphics in one scene and 3 big art graphics in the end credits) had taken 1+ hour to encode, stressing out the computer! I’m proud to have made the film better even yesterday as I found a perfect photo to use in one scene. Yes, people may or may not notice the photo but I would know and I am glad that I made that change. I am reasonably happy with our films now. And yes, editing “Umbrella Revolution” and looking at the documentary footage again and again has actually exerted a toll on me. A toll? Yes, how could it not exert a toll on me as I edit footage of HongKongers, not just Umbrella Revolution protesters but also radio and TV reporters, being brutally assaulted. And many of the criminally accused are still NOT charged or properly dealt with by the criminal justice system months later (as of July 28, 2015). 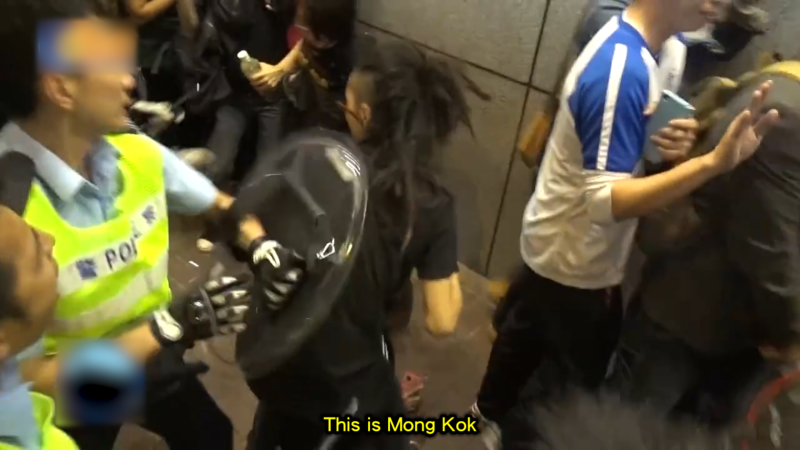 And HK police has effectively made a mockery of the HK justice system when, as reported by the South China Morning Post, “Occupy opponents arrested for allegedly assaulting a TVB reporter last year were allowed to wear shower caps and masks at two identity parades.” Wearing shower caps and masks at identity parades? Unheard of in HK until now. And what kind of precedences have these set for future criminals? 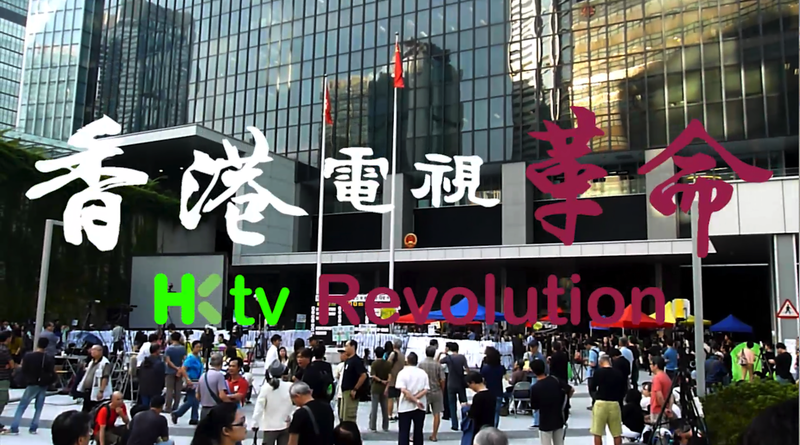 To end on a positive note, I’m happy that I can now say my “Revolution Trilogy” will three full-length documentaries: Long Hair Revolution (2005), HKtv Revolution (2015 work-in-progress), and Umbrella Revolution (2015 work-in-progress). Please keep your fingers crossed and wish us luck on our two films getting accepted by film festivals. So far, HKtv Revolution has been submitted to some film festivals and waiting for their decisions. 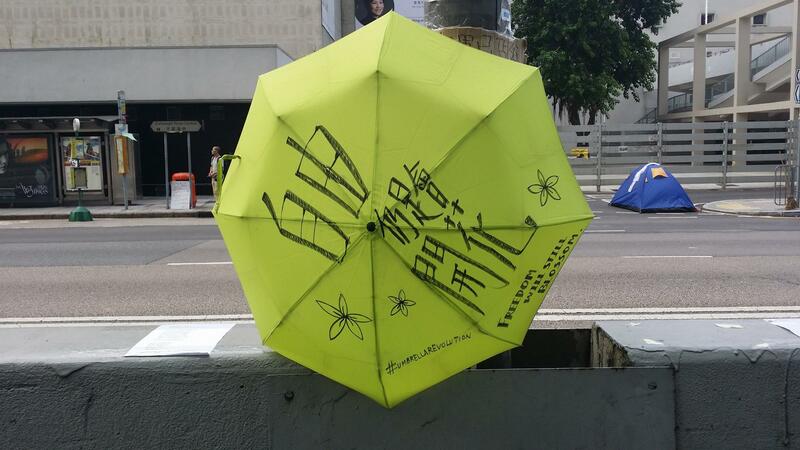 And Umbrella Revolution has not been submitted to any film festivals yet as it has just been completed. For the record, Kin-man also wrote “Occupying Hong Kong: How deliberation, referendum and civil disobedience played out in the Umbrella Movement” in the International Journal on Human Rights.